Norfolk is a hugely popular holiday destination in the UK. This area of East Anglia has a very temperate climate, making it an ideal place to visit all year round. 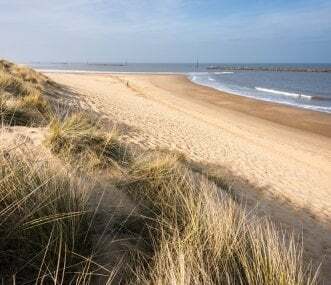 Whether you are looking for a picturesque coastal town, such as Great Yarmouth, with beautiful beaches and countryside walks, or a vibrant city such as Norwich, with museums and cathedrals, there are countless experiences to be had in this county. The Broads National Park is an extraordinary landscape and must be on your ‘to do’ list. 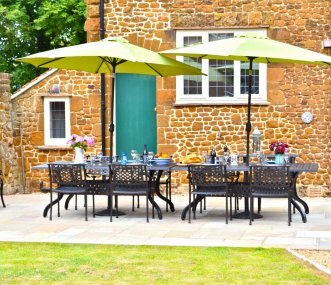 We have an extensive range of properties available for upwards of 10 guests. Ranging from self-catering accommodation and budget party houses to luxury holiday cottages. Use the map below to explore the area and discover your perfect holiday home. 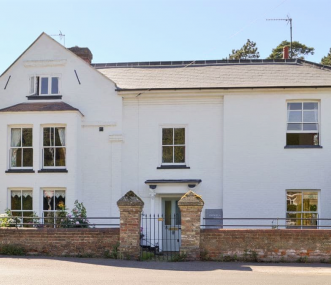 Family house in seaside village of Sea Palling. Easy accommodation just yards from the beach. Very dog friendly. Children's play area, small arcade and pub/cafe a very short walk away. Can sleep 12. 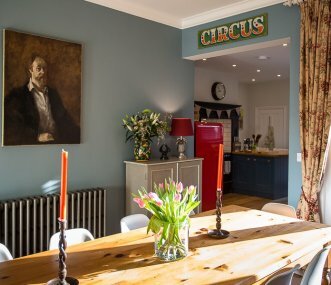 Lovingly restored victorian villa a stones throw from the sea, great for family get togethers on the norfolk coast. Magnificent 5 bedroom holiday apartment with panoramic sea views, sleeping 10 to 12 people. Occupying a prime location on Great Yarmouth's Golden Mile seafront. 5 Star Gold Award Georgian country house with Scandinavian wood-fired hot tub in the heart of the Norfolk countryside near Downham Market. 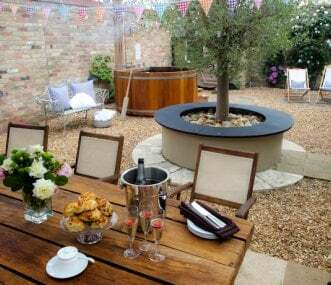 Extensive gardens, playhouse, spa treatments, private dining. Bracondale is a large house with sea views, ample off-road parking and an enclosed garden. 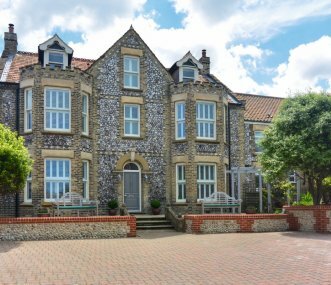 Set next to the Millennium Park in Boston Square, it is only a short walk to the beach and the town centre. 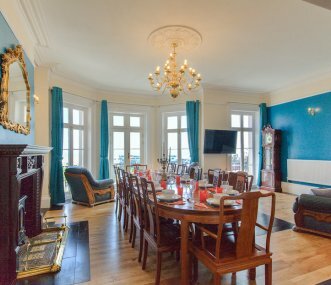 Stunning Victorian villa, 250yds from the Blue Flag beach. Great location for local pubs, restaurants and shops and for exploring beautiful North Norfolk. Ample parking and easy transport links.